Kholodenko’s international concert career in the 13/14 season will see him travel the breadth of the United States, performing in recital and as an orchestral soloist at more than fifty concerts as part of the Cliburn’s top prize. This is in addition to a host of engagements across Europe, Russia and Asia, and some of the biggest festivals worldwide. This season’s European highlights include a residency at the Mariinsky Concert Hall, where he was named Artist of the Month by Valery Gergiev, and a debut with the Orquestra Sinfónica Do Porto Casa Da Música. 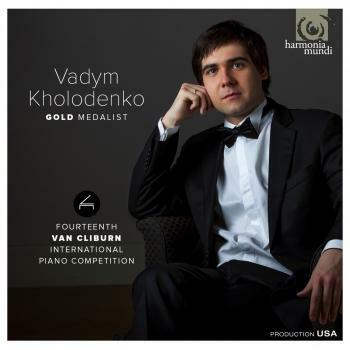 Prior to his Van Cliburn win, Kholodenko has played in recital and as soloist with orchestras throughout the Ukraine, Russia, USA, China, Japan, France, Italy, Germany, Austria, Switzerland, Finland, Czech Republic, Romania, Poland, Lithuania and Israel. He has collaborated with many distinguished conductors including Yuri Bashmet, Vladimir Spivakov, Mark Gorenstein, Alexander Rudin, Dmitry Liss, Eugeny Bushkov and Alexander Sladkovskiy. Also he has collaborated in concert and on a recording project with violinist Alena Baeva in Japan. Not restricted to solo recitals and playing as a soloist with orchestra, Vadym is a dedicated performer of chamber music and, in addition to the Cliburn’s gold medal, he won the competition’s prize for best chamber music performance with César Franck’s piano quintet. 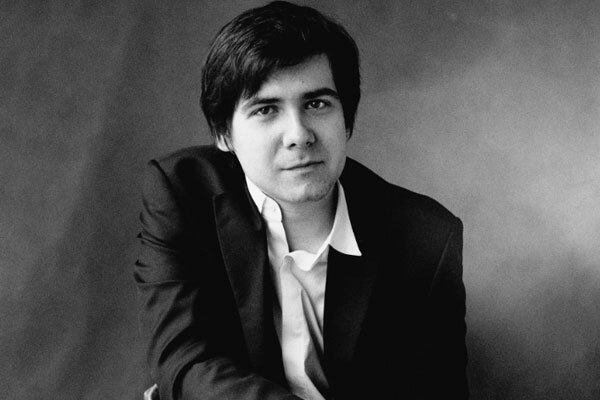 Vadym wowed the Cliburn audience and jury with his impressive cadenzas to Mozart’s Piano Concerto No. 21, written especially for his competition performance, which were described by Scott Cantrell, music critic of the Dallas News, as “replete with witty side-steps of melody and harmony.” Vadym’s gifts for arranging music can be heard in his work with pianist Andrey Gugnin. Since 2007 he has been collaborating with Gugnin, subsequently founding the duet iDuo, touring throughout Europe and Russia, and recording together. Vadym has also made many other CD recordings, featuring works by Schubert, Chopin, Rachmaninov, Medtner and various contemporary composers. November 2013 will see the release of his latest CD for Harmonia Mundi, featuring Stravinsky’s Trois Mouvements de Petrouchka and Liszt’s Transcendental Études. Vadym Kholodenko was born in 1986 in Kiev, Ukraine. The first musician in his family, in 1994 he enrolled at Kiev’s Mykola Lysenko Special Music School under Prof. Natalia Grydneva and Prof. Borys Fedorov. At the age of just 13, Vadym made his first appearances in the USA, China, Hungary and Croatia. In 2004 Vadym was awarded the Russian Youth National Prize “Triumph” and in 2005 moved to Moscow to study at the Moscow State Conservatoire under the tutelage of the Honoured Artist of the USSR, Professor Vera Gornostaeva. In 2011 Kholodenko won First Prize at the Schubert Piano Competition (Dortmund, Germany) and in 2010 First Prize at the Sendai Piano Competition (2010, Sendai, Japan), preceded by another notable victory at the Maria Callas Competition in Athens, Greece, where he received the Grand Prix. The special Maria Callas’ commemorative concert at the Herod Atticus theatre marked his debut with the “Novaya Rossiya” (“New Russia”) orchestra, led by the orchestra’s Chief Conductor Yuri Bashmet. Vadym has enjoyed an enriching collaboration with Yuri Bashmet and his orchestra since. Vadym is based in Moscow where he lives with his wife and young daughter. In addition to his current studies at the Moscow Conservatoire, he has recently accepted a teaching position at the prestigious school.